Over the past couple of months, I've found some amazing products from the drugstore that are such an incredible price. 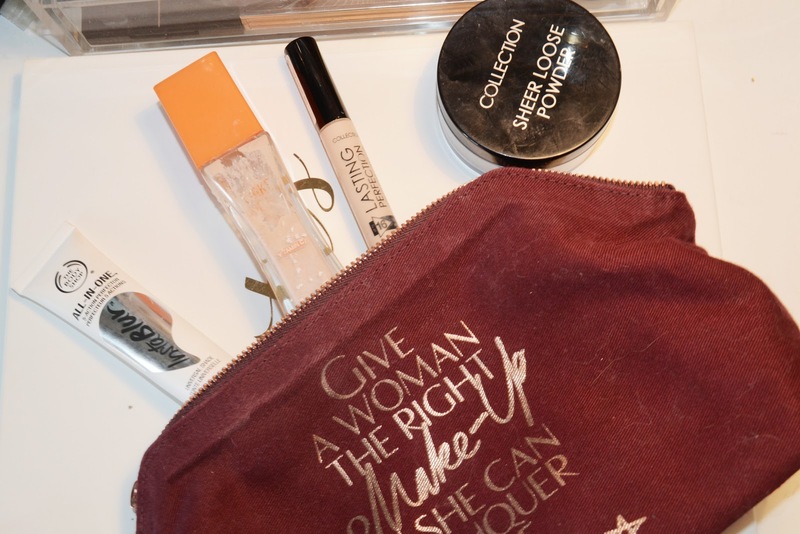 Whilst I still love my high-end brands, there have been options in the drugstore that have been excelling and putting the high-end ones to the test. 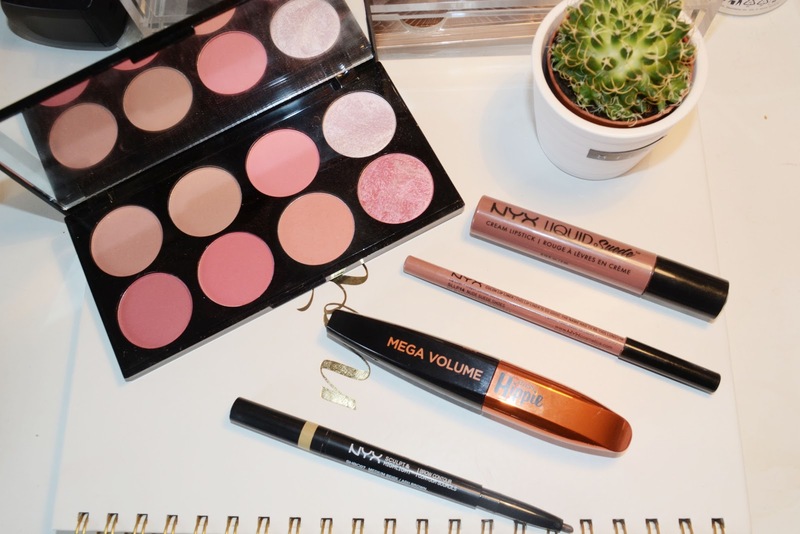 With the launch of NYX in boots I've found some beautiful products from there and a number of different brands. Therefore, I have decided to do a full face of make up using only drugstore items. I am going to class the body shop as drugstore make up as they're so affordable. Therefore, for my primer I am going to use the Insta Blur, I love this as it blurs any of my large pours and creates a smooth layer for my foundation to go onto. I love this one in particular as it provides a lovely glow and feels hydrating on the face. If you want a foundation with slightly more coverage, then the Rimmel Lasting Finish foundation is also an excellent alternative – it's not a matte finish but doesn't have as much of a glow as the Wake Me Up one does. 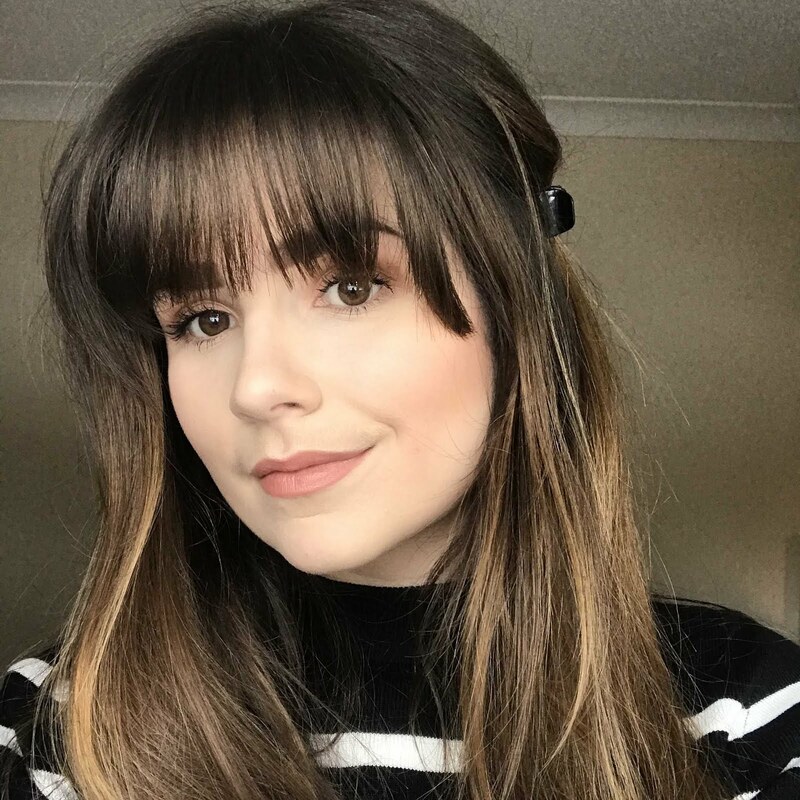 The cult favourite concealer is my favourite from the drugstore, it has amazing coverage and the lightest colour is perfect for under my eyes. The Collection Loose Powder in the colour Translucent is perfect for setting. I find it difficult to find powders which can set and also provide a little bit of coverage. I like the collection one as doesn’t make my make-up look cakey but instead helps it to last. 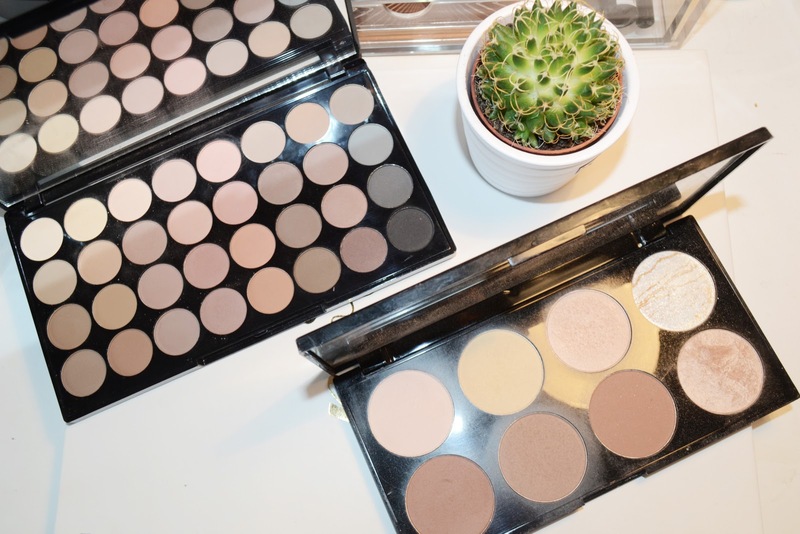 For bronzer and contour I love the revolution Contour Palette, this palette is an amazing price at only £8.00. And comes with 8 different shades, there are three contour/bronzer colours. Two powder colours, a light shade and banana shade. And then finally there are 3 highlighting shades. The third shade on the top row is my favourite highlighter shade, it’s super beautiful and looks amazing on the high points of my face. Another Revolution palette for my eyeshadow and it’s the Ultra Eyeshadows Flawless Matte. There are 32 colours and varying shades to pick from, whilst some of the shades are very similar I love that there are so many to choose from. The way they are situated in a row links each colour together to provide the best eye look. However, you can definitely mix it up! I’m going to stick to the Revolution brand for blush and I am in love with their Ultra Blush Palette in the shade Sugar and Spice. Again there are 8 different shades with two highlighter blushes at the end. My favourite shade from the palette is a peachy shade. I don’t like bright blushes, but instead like subtle colours that give a nice little pop of colour. This NYX product is again super affordable and comes with a brow pencil and also a highlighter end. I don’t really like the highlighter shade but love the brow shade, it’s super easy to apply and feels very creamy on the face. Mascara is one of my biggest enemies, I find it so difficult to find one that lengthens and thickens my lashes whilst also keeping them curled. I do love my Dior one but I have wanted to find a cheaper alternative. I picked this one up on whim and really liked it! Finally lips. These two products have fast become a favourite of mine and once again they are so affordable. I’ve not used any liquid lipsticks before and whilst the Kylie Lip kits are tempting I think I am going to stick to these little favourites for a while! What are your favourite products from the drugstore? I’d love to know!